Shaikh Mohammed bin Rashid Al Maktoum, Vice President & Prime Minister of UAE and Ruler of Dubai, presented the prestigious Dubai International Holy Quran Award’s ‘Islamic Personality of 2013’ Award on 29th July 2013, for providing outstanding services to Islam and Muslims at a global level in Media, Education and Philanthropy, to Dr Zakir Naik, along with a cash reward of UAE Dirhams 1 million (approx. Indian Rupees 1.7 crores) which he promptly donated to start a Waqf (endowment) fund for Peace TV Network. Dr Zakir at 47 years, was the youngest recipient of the award. 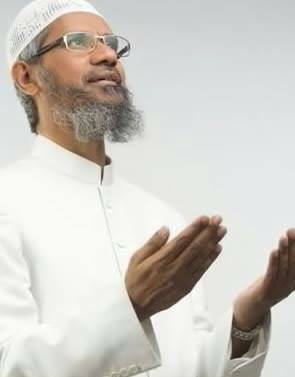 DR ZAKIR NAIK - PRESIDENT, IRF A medical doctor by professional training, Dr Zakir Naik is renowned as a dynamic international orator on Islam and Comparative Religion. He is the president of Islamic Research Foundation, Mumbai. He is 49 years old. Dr Zakir clarifies Islamic viewpoints and clears misconceptions about Islam, using the Qur’an, authentic Hadith and other religious Scriptures as a basis, in conjunction with reason, logic and scientific facts. He is popular for his critical analysis and convincing answers to challenging questions posed by audiences after his public talks. Amongst the billion plus population of India Dr Zakir Naik was ranked No. 82 in the ‘100 Most Influential People in India’ list published by Indian Express in the year 2009 and ranked No. 89 in 2010. He was ranked No. 3 in the ‘Top 10 Spiritual Gurus of India in 2009’ and topped this list in 2010. He is ranked in the top 70 list of the ‘500 Most Influential Muslims in the World’ published by George Washington University in the year 2011, 2012, 2013 and 2014. Dr Zakir Naik Alhamdulillah has more than 6 million likes on his Facebook which is not only one of the highest amongst the Muslim Religious Speakers but also one of the highest amongst any Religious Speaker in the world. Dr Zakir Naik appears regularly on many international TV channels in more than 200 countries of the world. He is regularly invited for TV and Radio interviews. More than a hundred of his talks, dialogues, debates and symposia are available on DVDs. He has authored many books on Islam and Comparative Religion. The idealogue and driving force behind Peace TV Network is Dr Zakir Naik. He launched Peace TV English, in January 2006, it being the largest watched ‘Islamic’ as well as ‘any Religious’ Satellite TV channel presently in the world, with over 100 million viewership of which 25% are Non-Muslims. In its footsteps he launched Peace TV Urdu in June 2009 and Peace TV Bangla in April 2011. InshaAllah, he plans to expand Peace TV network to cover the ten major languages of the world.